We have a large team of RICS Registered Valuers conducting valuations of commercial and residential property for a wide variety of purposes across London and the South of England, but can act nationwide when required. The expert knowledge you need with the personal service you expect. Our Chartered Surveyors determine the value of a site or building in accordance with the RICS Red Book standards. We inspect all kinds of residential and commercial property including houses, bungalows and flats, mixed use developments, retail, industrial, offices and large portfolios, including those of non-standard construction to provide our considered opinion of its value. We will provide a detailed, evidence based report that provides our opinion of the value of the property in question, and our aim is to help you make informed financial decisions relating to your property. Our valuation reports will give you essential information about the value of your asset(s) to meet your reporting needs and deadlines. Click the links below to find out more about each specific valuation service we offer, turn around times and costs. How much does a RICS Red Book valuation cost? You can expect to pay between £600 and £1200 plus VAT for a straight forward single property residential valuation but larger or more complex properties will be more costly. The exact cost will depend on a number of factors including the size, location and age of the property. Desktop valuation updates will usually cost up to £600 + VAT. See our FAQ on desktop valuations for more information on this below. The prices above are indicative only. We cannot give you an exact quote until you have confirmed the property address as every property is different. When reinstatement value and market rental figures are required to be included in your report, this will be reflected in to the cost too but the professional fees payable will always reflect the particular requirements of your property and the time which it is anticipated will be devoted to the matter. Can you conduct a desktop valuation? Desktop valuations, where an opinion of value is reached without an inspection of the property, are not RICS Red Book compliant and as such we don’t conduct them. We do however conduct desktop valuation updates. These desktop valuation updates are only suitable if we have visited the property on your behalf before, no significant alterations have been made, or the time elapsed since the inspection was conducted isn’t too great. Desktop valuation updates are commonly used when the validity of the original valuation has expired (usually after three months of valuation date) and a retype is requested to state that the original value is still correct and the market has not significantly changed. What is covered in a RICS red book valuation? Comparable sales of similar properties that have sold locally to provide supporting evidence that the value is realistic. Why do valuation figures differ between Surveyors? Registered Valuers may provide varying opinions of value because a valuation is an evidence based opinion with an element of subjectivity. When disagreements in value occur, courts are asked to decide if a value is correct but provided the valuation has been conducted in accordance with the RICS Red Book (where best practice guidelines are set out by the regulatory body for Chartered Surveyors) an opinion of value cannot be ‘wrong’, as long as it is within reasonable tolerances of the court’s opinion of value. This tolerance is usually up to 10% over or under the original valuation. Consumers should instruct a Chartered Surveyor, via the RICS find a surveyor service to find a surveyor with local market knowledge and adequate professional indemnity insurance to provide the confidence that the opinion of value can be relied upon subject to any qualifications in the valuation document. Kempton Carr Croft is a RICS regulated firm, has PII insurance cover and all valuations are conducted by qualified RICS registered valuers. Do you conduct valuations in my area? Kempton Carr Croft’s Surveyors regularly provide valuations for properties throughout London and the whole of the South East of England. 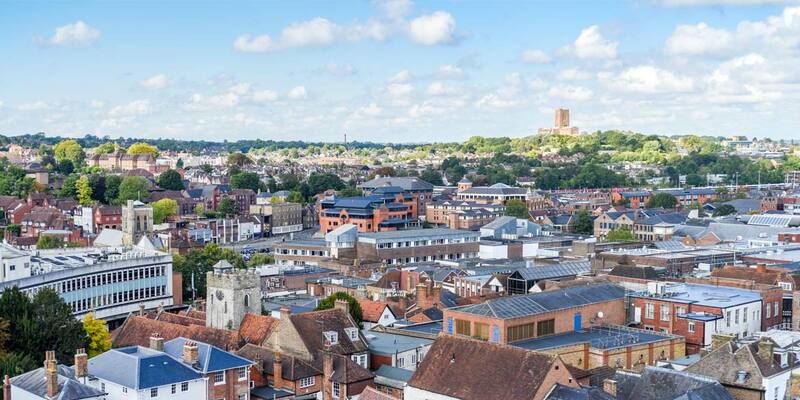 The team works from offices in Basingstoke, Camberley, Gerrards Cross, Maidenhead, London, Reading, Staines and Windsor. Looking for more information about valuations? Selling a Shared Equity home? You need a shared ownership valuation.